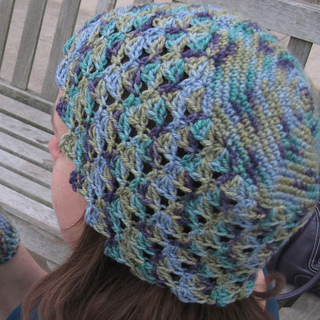 Hat measures 22 inches in circumference and 9 inches tall. 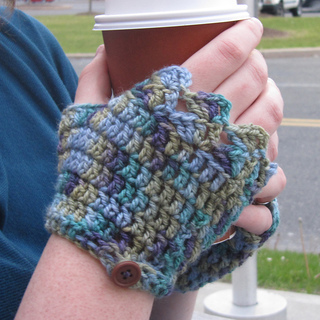 Gloves measure 7.5 inches in circumference and 4.75 inches long. to wear and interesting to hook. 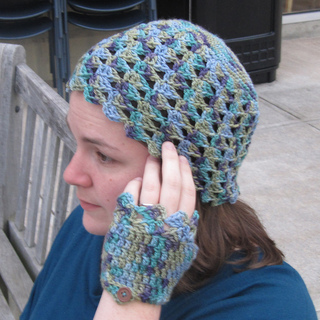 The versatile stitch pattern looks stunning with both variegated and solid yarn.